Colombia is one of the countries with the highest biodiversity on the planet, the highest number of animal and plant species per square kilometer anywhere in the world. With 1871 bird species, it has the largest number of bird species of any country on earth, and this number continue to rise each year. Based on a 2009 survey, 74 birds are endemic—prevalent in or peculiar to the locality. 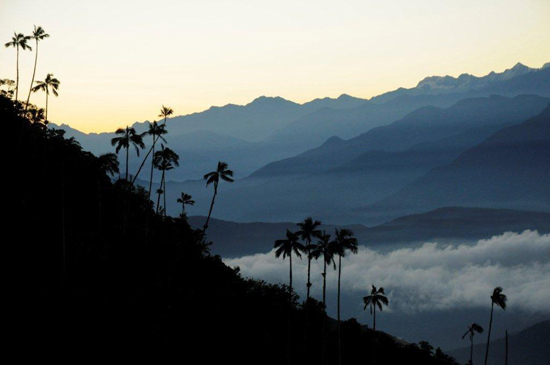 Although smaller than the U.S. State of Connecticut, Sierra Nevada de Santa Marta, is completely isolated from the Andes Mountains. It’s a Biosphere Reserve and a National Park, overlooking the Caribbean coast of northern Colombia. Sierra Nevada de Santa Marta has 635 bird species—a third of the whole country—and contains the single highest concentration of endemic bird species (36) found on the planet. It has more resident bird species than the continental USA, but 18 species are facing the risk of extinction at a global level.